In the wake of Robert Epstein’s groundbreaking study revealing that Google manipulates search results to favor Democratic presidential hopeful Hillary Clinton, Radio Sputnik’s Loud & Clear discussed what the revelations mean for democracy in America with civil justice advocate Mara Verheyden-Hilliard. 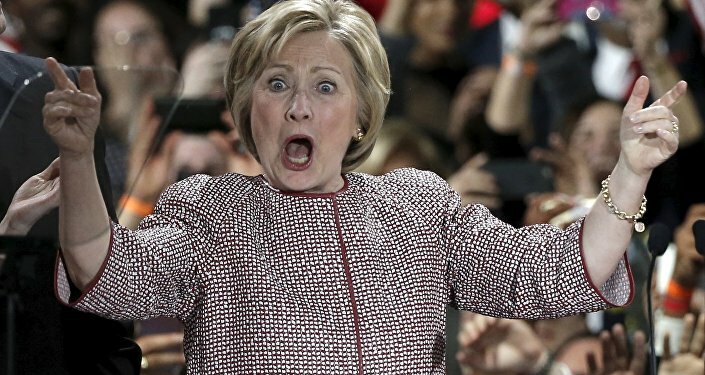 "Given Google’s strong support for Mrs. Clinton, it seems reasonable to conjecture that Google employees manually suppress negative search suggestions relating to Clinton in order to reduce the number of searches people conduct that will expose them to anti-Clinton content," Dr. Epstein wrote for Sputnik on Monday. In discussing these revelations with Loud & Clear’s Brian Becker, Verheyden-Hilliard, of the Partnership for Civil Justice, reiterated Epstein’s concerns. "Well it’s true across the board that the general public looks at where they get their information from…generally as benign. There’s a growing understanding that it might be ‘customized’ to you, which is how they put it," she says. "But that’s really a euphemism for the fact that these entities are collecting extraordinary amounts of data on each individual that uses their system." This mass collection of data gives companies like Google enormous power to manipulate public opinion. "So across the board, I think it’s time for people to realize, and for us to begin to take action over the fact that these massive entities, these massive corporations that are what influence us hour after hour, day after day, can impact the political outcomes in America and around the world." 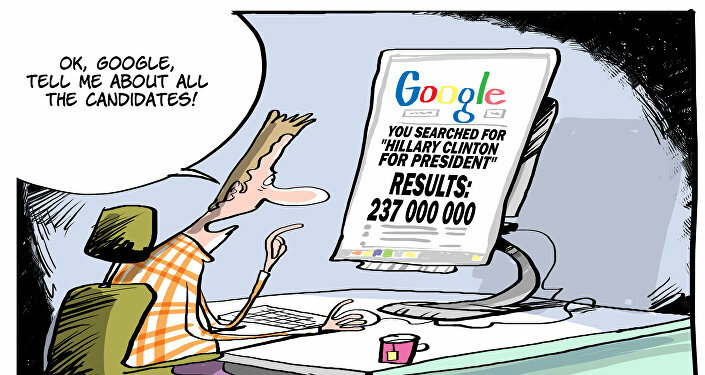 Google’s leadership, including founder Eric Schmidt, have donated large amounts of money to the Clinton campaign. "There’s a lot of executives who have gone over to try to help the Clinton campaign succeed. These entities, these massive institutional giants of technology, have a finger on the scale and that’s a significant shift in recent elections in terms of the capacity of a corporation that has an interest in an election to be able to so easily communicate with you to affect their thinking, to affect, their outcomes," Verheyden-Hilliard says. Corporations and political entities are inclined to do whatever they can to achieve their goals, and it is safe to assume that Google will use whatever leverage it has. "You can’t just sit back and say 'democracy is a nicety – people are being left alone to make up their minds and go vote.' They’re not," she says. "Once they [corporations] become treated as a public utility, which is what is needed in society to protect people, to protect democracy, to protect privacy, then that changes the whole way they operate." "But right now they have massive control over information and they are unlimited and unbridled. There is nothing capping their behavior except public exposure of their behavior."